Most episodes of acute back and neck pain heal themselves in a few weeks; however, many adults suffer from chronic pain that prevents them from enjoying an active lifestyle. 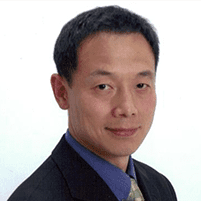 Hao Zhang, MD, Ph.D., of Edison Wellness Medical Group in Edison, New Jersey, is an expert when it comes to diagnosing and treating the underlying causes of back and neck pain. If you're tired of living with pain, call today or schedule an appointment online to learn more about pain-relieving treatment options. What’s causing my back and neck pain? Heavy lifting, twisting, or overuse can cause painful back and neck pain symptoms. Many men and women experience occasional, temporary back and neck pain as the result of a strained muscle or an accident or overexertion. Usually, these types of back and neck injuries go away within a few weeks as your muscles heal. But, when you experience back and neck pain on a daily basis, your symptoms may be the result of a more serious underlying health condition. Dr. Zhang performs diagnostic testing to determine if you have any disc herniations in your spine that could be causing your chronic pain. Lower back pain is one of the most common types of musculoskeletal pain, along with tendonitis, muscle pain, and stress fractures. Pain that affects your bones, muscles, ligaments, tendons, and nerves is classified as musculoskeletal pain. If this type of pain is the result of an injury, it usually occurs quickly, and you immediately know the cause of your pain. It's also acute, meaning it will most likely heal in a few weeks or so. Chronic muscle and joint pain can last indefinitely, or come and go for months without signs of relief, as is common when the pain is in your back or neck. You may or may not be aware of the cause of your chronic pain, as symptoms vary widely. The causes of joint pain are as varied as their symptoms. In some cases, autoimmune diseases like rheumatoid arthritis cause severe joint pain and affect mobility and your quality of life. Joint pain also comes from different types of arthritis, age, overuse, and wear and tear, especially when it comes to your knees and hips. Inflammation from arthritis, gout, or other conditions, are some of the most common causes of joint pain. How can I prevent back and neck pain? There are many ways you can proactively prevent future occurrences of back and neck pain. If you need relief from lower back pain, neck pain, or joint pain, call or schedule an appointment at Edison Wellness Medical Group today. Dr. Zhang offers comprehensive, individualized treatment plans to get you back to living life without pain.